No one wanted to believe it, but they all came together to admit it on Saturday, November 3, 2012. 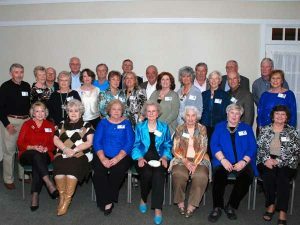 Members of the Strom Thurmond High School graduating classes of 1962 and 1963 had to acknowledge that yes, in fact, it had been 50 and 49 years respectively since they graduated from high school. However, it didn’t take long for all the “time lapse” to wear off when graduates came through the door at Pine Ridge Country Club and proceeded to smile, squeal, laugh, look for someone they remembered, or wonder who that person was standing next to the door. The evening began with everyone trying to recognize their classmates – some had not seen each other for 49 or 50 years, or at least not since the last class reunion held in 1999. Ed and Dorothy Chapman Ready had traveled the furthest – 710 miles – from their home in St. Louis to attend the event. 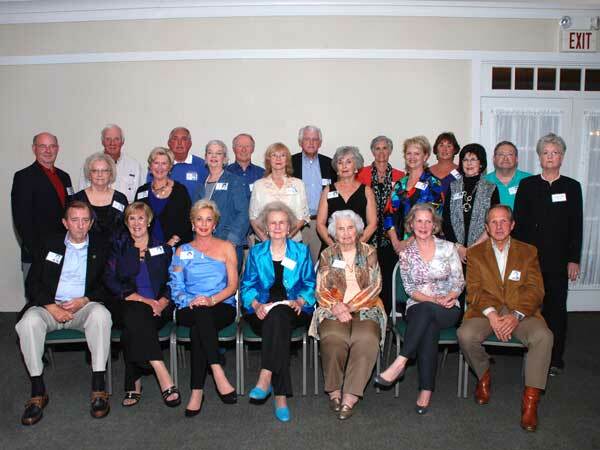 Later, the program was emceed by 1962 graduate Larry Yonce and 1963 graduate Beth Byrd. 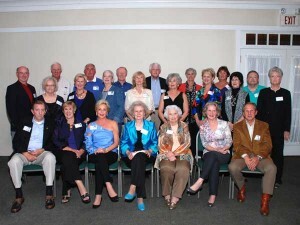 They acknowledged, first of all, the reunion organizers who had so thoroughly planned the evening. Original organizers included Betsy Rucker Martin, Beth Byrd, Eleanor Priest Crim and Gail Holmes Gingery. Appreciation was expressed to everyone who had helped during the planning stages. Yonce also welcomed two high school teachers, Mrs. James M. (Margaret) Edwards, Jr. and Mrs. Jimmy (Beth) Reel. Emcees’ comments consisted of both humorous and sad recollections of times in high school. Yonce noted that “the crowd from Johnston” still hasn’t forgiven or understood why they had to come to Edgefield at the beginning of the 1961-1962 school year instead of Edgefield students having to travel to Johnston. Jovial bantering between the emcees was enjoyed by the entire audience. A moment of silence for those students who had passed away over the years was sadly noted. Names of eighteen classmates from the Class of 1962 and nine classmates from the Class of 1963 were called out in remembrance. After the program, Henry Herlong, 1962 graduate, blessed the meal, and everyone enjoyed a delicious buffet spread. Dinner tables were elegant with white cloths and centered with bouquets of natural boxwood and magnolia leaves. The end of the reunion ended just the happy way it had started. There were smiles, squeals, arms around those that will always be remembered, and the embarrassed knowledge that the person who had been standing next to the door had been their childhood sweetheart.